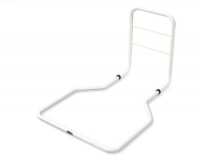 Bed Grab Rail Suitable For Use With Slatted Bed. Suitable for slatted beds. Large base frame for maximum under mattress stability.